In the UK we love the opportunity to bet on the big lotteries, which regularly have jackpots of over £100 Million. Now at Lottoland you have the chance to bet on an exclusive new lottery product with guaranteed jackpots of £150 Million on offer every single week. 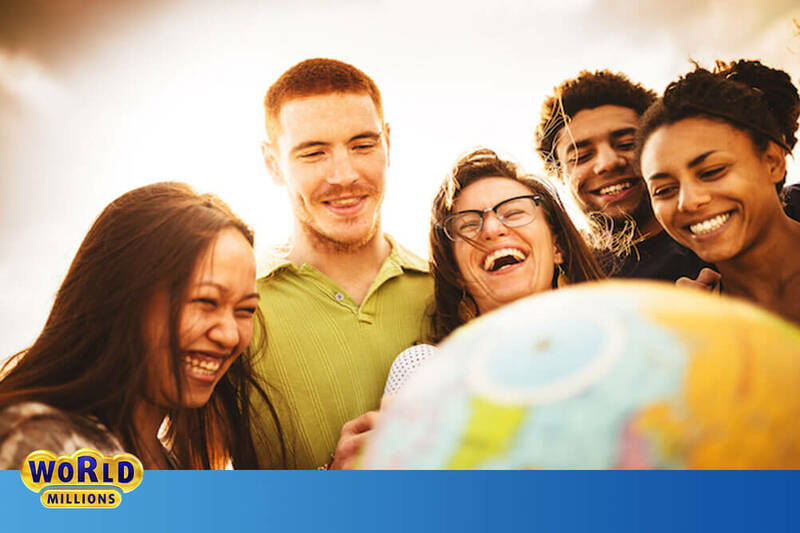 WorldMillions uses numbers drawn from two international lotteries to form a new winning number every Thursday and Sunday. Read on to find out more about the benefits of placing a bet on WorldMillions with Lottoland. Now there’s a new game in town in the shape of WorldMillions, whose twice weekly winning numbers are made up from numbers drawn from Austrian and German lotteries. If you want to find out more about how WorldMillions works, we are here to give you the low-down on this fantastic new betting opportunity. Let’s use the tried and tested format whereby we guess the questions you might ask and then answer them as clearly as possible. 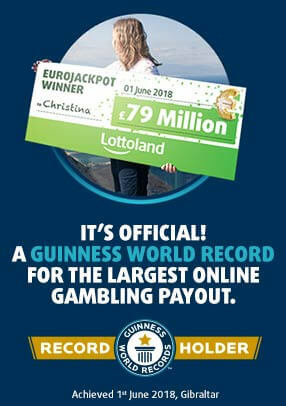 WorldMillions is a product offered exclusively by Lottoland which you can bet on to win up to £150 Million every week. 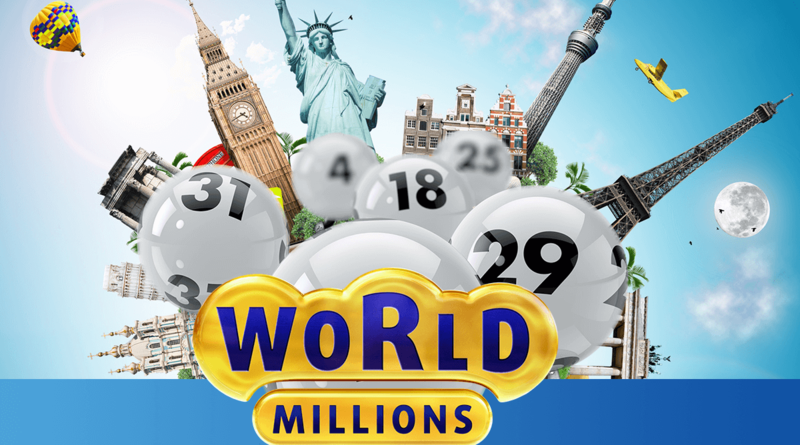 WorldMillions is not run by Lottoland, rather it takes the last 4 numbers from the draws for independent Austrian and German lotteries to make up the winning 8-digit number for WorldMillions. You can place bet on WorldMillions twice a week: every Thursday for a guaranteed jackpot of £50 Million and every Sunday for a guaranteed jackpot of £100 Million. How Many Numbers are in the WorldMillions? You pick an 8 digit number. So, if you were feeling spectacularly unoriginal you could choose 12345678, for example. Every number is unique, so if you bet on that number nobody else can take the same one, which means that the jackpot is all yours and will not be shared. When Can You Win WorldMillions? WorldMillions numbers are selected every Thursday and Sunday. You must place your bet before 5:30pm UK Time on Thursdays and before 5pm on Sundays to stand a chance of winning the jackpot. Remember that the WorldMillions winning number is made up from the last 4 digits of a German and an Austrian lottery, so there is no separate WorldMillions draw and we must await the conclusion of those 2 independent draws to announce the WorldMillions winning number. How Much Does it Cost to Place a Bet? We want to make this product accessible for everybody, which is why it is possible to bet for a fraction of the total line bet. Let’s put that into number form to make it clearer. For the Thursday game a full bet costs £5 and you could win the jackpot of £50 Million. However, you can choose to bet half of the full bet for £2.50, or 1/10th of the full bet for just 50p. If you chose to bet 50p then the prizes you would win are also divided by ten so the jackpot would be £5 Million. The same principle works for the Sunday £100 Million event where you can make a full bet for £10 or choose to try and win 1/10th of the jackpot by betting just £1. That means that instead of making one £10 bet you could bet £1 on ten different sets of numbers to give you a bigger chance of winning. Is it Legal to Bet from the UK? Yes, it is perfectly legal to place a bet on WorldMillions from the UK as we have state licenses in a number of EU countries meaning betting on this lottery is perfectly legal. Note that you will not be buying a ticket for a lottery, you will be placing a bet on the outcome of the 8-digit number selection. Good question! If we decided to draw numbers out of a bucket here at Lottoland Towers to determine the WorldMillions result, there may have been a certain amount of suspicion about the fairness of the process! As a way to make the draw as fair and transparent as possible, we use the results of two national lotteries to determine the result of the WorldMillions 8-digit number. The first 4 numbers of the winning WorldMillions number use the last 4 numbers from Germany’s Plus5 draw. The last 4 numbers come from the last 4 digits of the Austrian lottery ToiToiToi. You can check the results of WorldMillions here at Lottoland, but if you want to double-check then a quick google search will find the results of both of those draws for the date in question. Are there Smaller Prizes for Matching Less than 8 Numbers? Yes! If the last number of your selection is the same as the last number in the sequence, you will win a prize of £5 (Thursday) or £10 (Sunday). If the last 2 numbers are the same you win a bigger prize and so on, all the way up to matching all 8 numbers for a jackpot win. How Do I Know You Will Pay if I Win? Another fair question! We are licenced and regulated by the British Gambling Commission as well as the Gibraltar Gambling Commission. As part of our licensing agreement we must prove that we are able to make payments to any of our winning clients. We take out policies with world leading insurers to cover larger payments such as jackpot amounts. Why Should I Try WorldMillions? While some lotteries can take time to roll-over to massive jackpot sums, WorldMillions offers a guaranteed £150 Million every single week. You can bet on the Thursday jackpot for as little as 50p for a chance to win £5 Million, which is a pretty good deal for a jackpot of that size. Also, the odds are better of winning the WorldMillions jackpot than for lotteries with a similiar-sized jackpot. To give you an example, the odds of winning WorldMillions stand at 100,000,000 to 1. You can check out WorldMillions here, where you can place a bet and get further information about the draw. You will also find options to pick your numbers automatically and to set up a subscription for 1 week or even up to a year. We think you are going to enjoy the opportunity to bet to win a guaranteed multi-million-pound jackpot twice a week, but please let us know your feedback either in the comments section below, on live chat or via facebook and twitter. Our Facebook page is also the place to go for free competitions where you can win prizes, so make sure you check it out!